When concepts fail, words arise. Office Hours (ricevimento studenti): every Wednesday from 10:00 am or by appointment (drop me an email). 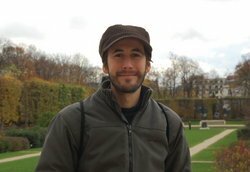 Luca De Cicco has graduated in Computer Science Engineering in 2003 with honors. He received the Ph.D. in Information Engineering in July 2008 from Politecnico di Bari (advisor Prof. Saverio Mascolo). Since 2018 he is an Assistant Professor at Politecnico di Bari (RTD-B). He obtained the National Scientific Qualification (Abilitazione Scientifica Nazionale) as Associate Professor in April 2017 in the research field Automatica (09/G1). His main interests range from modeling and design of congestion control algorithms for multimedia transport to adaptive live video streaming, performance evaluation of congestion control algorithms, and future internet paradigms. Since 2017 he serves as Associate Editor for Internet Technology Letters (Wiley). 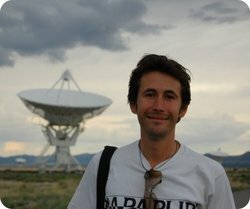 He has covered several visiting researcher positions: at University of New Mexico (Albuquerque, NM, USA) and at L2S (Laboratoire des signaux et systèmes) École Supérieure d'Électricité (Supelec), Gif-sur-Yvette (Paris), France; at the Laboratory of Information, Networking and Communication Sciences (LINCS) in 2013 and 2014. He has been post-doc at Telecom SudParis in 2015 working at the RST department. ITL is a quick-paced journal publishing novel research at the forefront of scientific progress in internet technologies. We are seeking outstanding short contributions and we are targeting a review rounds not exceeding 5 weeks. Please check the Journal website and submit your article! We got selected as the Best Paper of the ACM SIGCOMM Internet-QoE Workshop, August 2016. The paper has been reprinted in the October 2016 issue of ACM SIGCOMM CCR. We have been awarded with the Google Faculty Award 2014 for designing a congestion control algorithm for real-time communication within the WebRTC framework to enable video conference among Web browsers. was ranked as the 8th most popular IEEE/ACM Transactions on Networking article in April 2014. Check out TAPAS our open-source tool for rapid prototyping of Adaptive streaming algorithms.